His Holiness Paramahamsa Sri Sri Satchidanandendra Saraswathi Swamiji, the founder of Adhyatma Prakasa Karyalaya and author of over 200 reputed works on Advaita in Kannda , Sanskrit and Egnlish blessed the earth with his presence for ninety six useful and rich years (1880-1975). His works are characterized by vast and deep scholarship, clear and precise perception and an attractive and lively style. 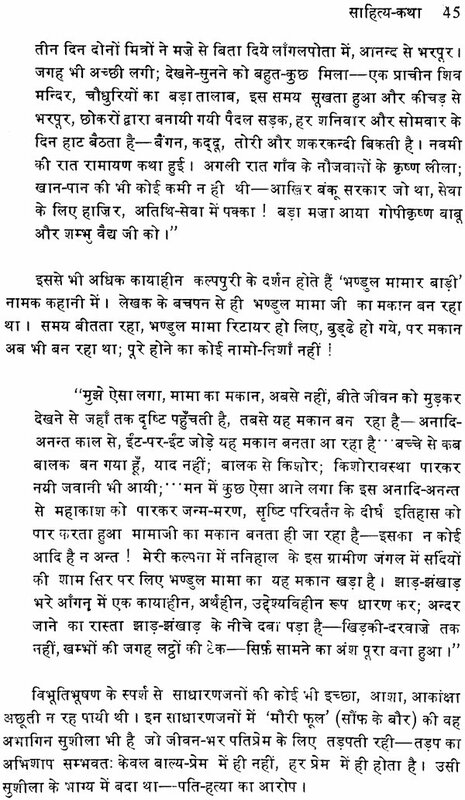 His authentic interpretation on Sankara has been greatly recognized by both the East and the West. He was not just a rare and accomplished individual but a mighty and magnificent institution. 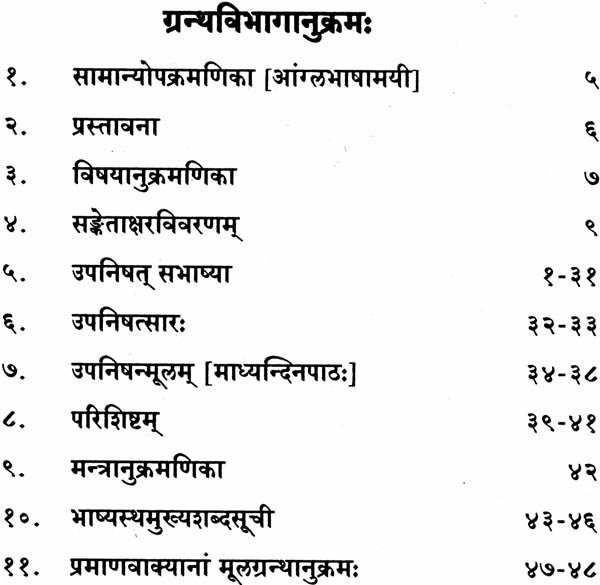 Sukla – Yajurveda is divided into fifteen Saikhas or Seventeen Sakhas, according to different tradition. Only two versions, however, are now prevalent and studied by the followers of that Veda. 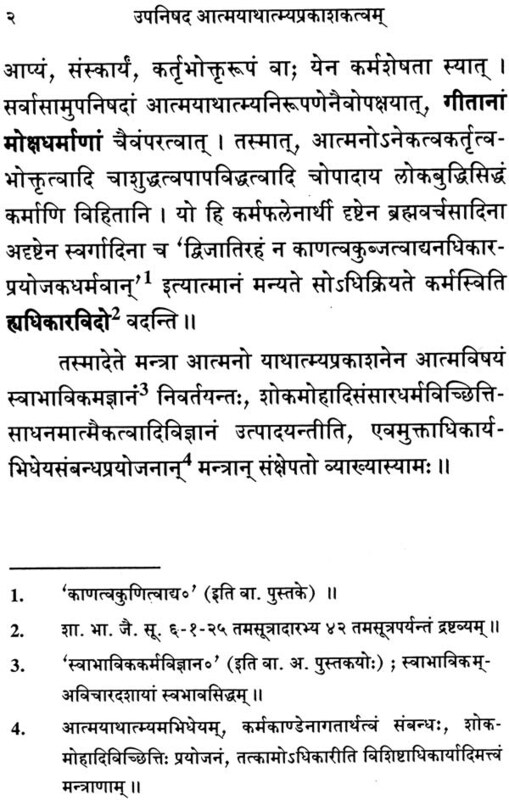 One Bhashya ascribed to Sankaracarya, on the Is’a or the Is’avasya Upanishad forming the fortieth chapter of the Kanva version, is being studied by the followers of the S’ankaradvait school. 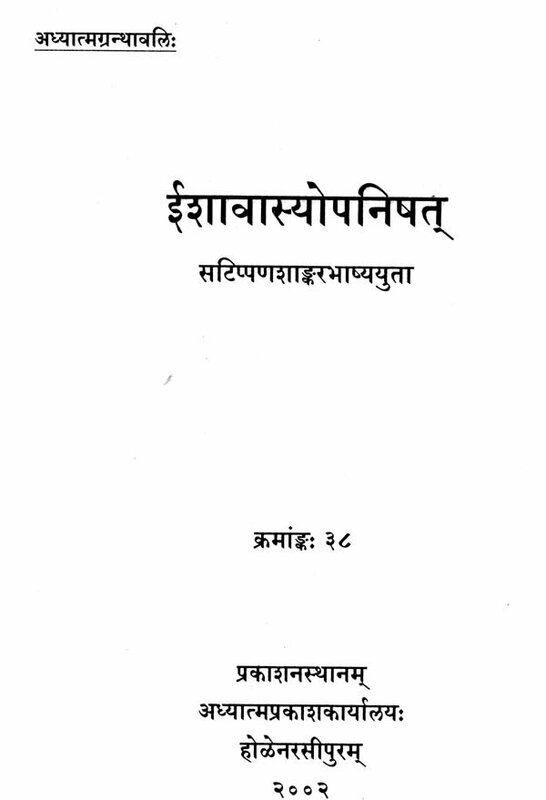 It is also known as the Samhitopanishad because it form part of Samhita, the collection of the mantras of the Karmakanda (Ritual Portion) of that veda, while the other Upanishads commented upon by S’ankara are mostly to be found in the Aranyakas of the Brahmana portion of the various Vedas. Authors of some Bhashyas antecedent to Sankara were of opinion that this Upanishad teaches the combined practice of karma (ritual) and upasana (meditation), especially as the mantras in it, are found in the karma – kanda (Portion devoted to rituals). 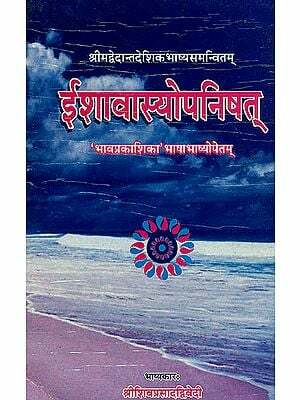 The author of the present Bhashya, rejects this interpretation and opines that these mantras purport to teach the true nature of Atman or the Universal Self. 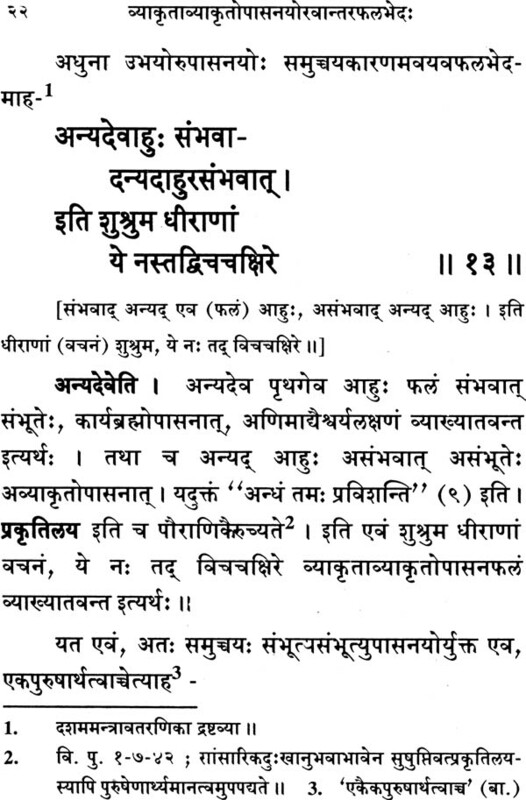 The latter portion of the Upanishad, however, according to S’ankara, does treat of the fruits of the combined practice of karma and meditation. 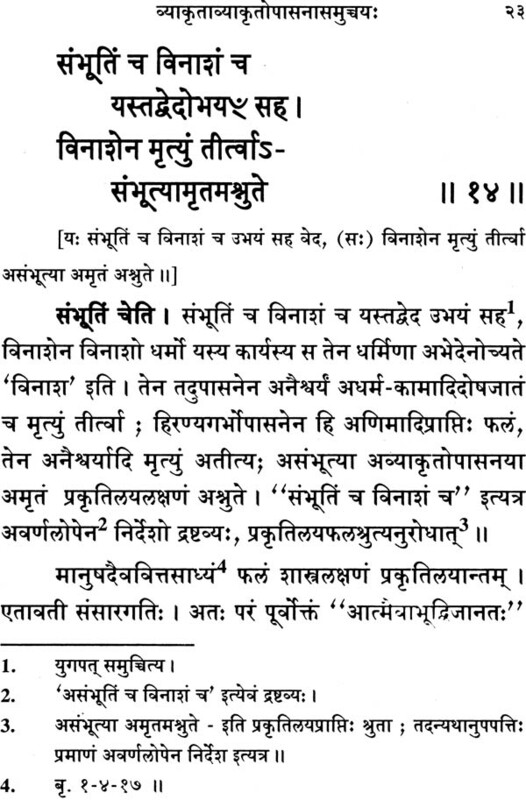 Some of the mantras in the Upanishad, are explained in a different way in other Bhashyas, (on the Aitareya, Taittiriya, Gaudapada Karika and the Brahma - Sutras), and they make use of the Madhyandina version and not the Kanva Version. We find no explanation for this difference of interpretation. 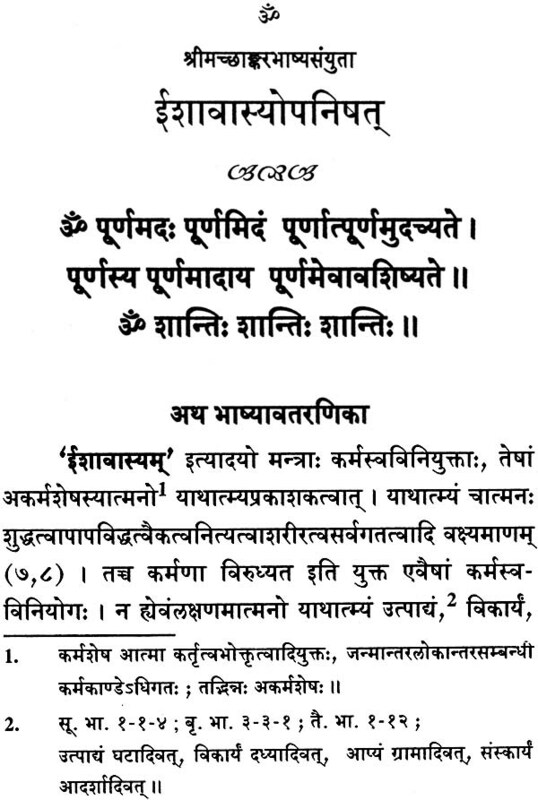 Some critics therefore doubt whether Adi –S’ankaracarya may be rightly regarded as the genuine author of this Bhashya. The Appendix would be of some help to the critical student in coming to his own decision in the matter.